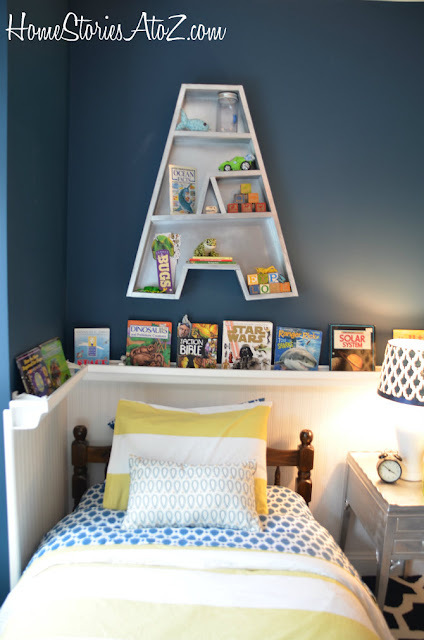 Beth watned to create some Letter bookshelves, A and Z to be exact, for over her boys beds. Ana White threw together some Pottery Barn inspired plans for her and she documented her experience building them in a fun DIY vido tutorial. You can check out how to make DIY Pottery Barn inspired letter bookshelves over at Home Stories A to Z.